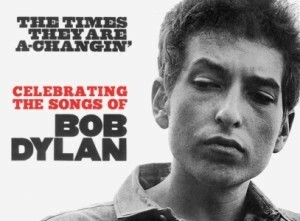 In the sixties, Bob Dylan’s The Times They Are A-Changin’ became an anthem for the changes of the counterculture revolution, as a new generation – rejecting the restrictions of old – ushered in freedom and liberty. Some change in the twenty-first century, however, is going in the opposite direction, as waves of draconian new rules and regulations increasingly restrict our freedom and liberty. Some liken it to the ‘rise of the machines’, but instead of robots taking control of our lives, its impenetrable bureaucracies. Many of the things we used to take for granted are now being restricted or banned. In some parts of the country, homeowners can no longer use fireplaces or wood burners, leaving families with no way of keeping warm during winter power cuts. New food regulations are preventing pre-school centres from cutting up fruit as snacks for children – unless they register as commercial kitchens. There’s even a proposed new law in front of Parliament to restrict who can call themselves a ‘teacher’! And it’s not just laws and regulations that are restricting our liberty – there’s also been a dramatic erosion of our right to free speech. The politically correct vigilantes, who populate the media and social media these days – promoting feminism, gay rights, biculturalism and other social justice causes – are increasingly attacking and hounding people who say things they disagree with. By acting as judge, jury and executioner, they are ruining careers and destroying lives. “My parents met during the depression years, when life was tough. They were both teachers in small schools on the prairies. After a brief courtship they married. And it was not just teachers who formed life-long relationships in the workplace. Lawyers married secretaries, doctors married nurses, and bosses married employees. That is how the world worked then. The workplace was considered an acceptable place to find romance. “How many potential relationships did not come to pass because of misread signals, or differing levels of ardour? How many awkward exchanges were there – some that might be interpreted by one person, as an unwanted bit of attentiveness, or even an assault? The answer is probably ‘very many’. But, we don’t know. The human mating game is very complicated. Some people are better at it than others. Some have a better idea when to pursue and when to retreat. Some are not so good at this delicate art. As Brian points out, negative consequences arise when well intentioned causes are captured by extremists. Earlier this year, 100 French women signed an open letter saying that the #MeToo movement had gone too far. They were concerned that it was becoming a “witch hunt” against men, and that the guilty-until-proven-innocent approach was creating a totalitarian climate. New Zealand has a long history of feminist activism, and while there have been some notable successes in their battle for equality, the extremism of the movement is causing harm. In fact, the insidious legacy of the feminist cause can be seen in the devastating statistics on child abuse, educational failure, and social deprivation. These are largely the result of generations of single women on the feminist-inspired single parent benefit trying to raise children on their own. Introduced in the seventies at the insistence of feminists, nothing has done as much damage to so many women and children as this stand-alone benefit. What’s worse is that no government – not even National – has had the courage to change it. This is in spite of international evidence showing that supporting single mothers through work-related benefits, delivers better outcomes for them and their children. This same extremism can now be seen in those pushing for gender equality in the workforce. In some fields like education, feminists have all but driven men out of the profession. But the problem is that no-one is speaking up for men. That’s certainly the case in Parliament where ardent feminist MPs in Select Committees will take departmental heads to task about the percentage of women in their organisations. However, no-one asks when those in charge of female dominated departments intend to hire more men to bring about gender balance! Indeed, if gender equality is regarded as a worthwhile goal by political leaders, then it needs to go both ways and parties need to ensure they have spokespeople standing up for the rights of men. Feminist extremism has now spread from the public into the private sector. Calls for gender balance in the Boardroom are becoming more strident. But even though most businesses believe board members should be appointed on merit rather than by quota, few business leaders are prepared to speak out. They are well aware that pushing back against feminist campaigns can lead to a backlash, where radical activists call for boycotts to blackmail business leaders into compliance. Zealots can also be found in the bicultural movement. In an article in the Dominion Post in 2010, political commentator Chris Trotter described what happened when the highly successful charity Corso – established in 1944 to provide clothing and footwear to millions of people around the world – became radicalised. The charity has signed partnership agreements with Waikato-Tainui and Ngai Tahu to commit to a bicultural future. But their website reveals that not everyone is happy with the takeover: “Pakeha Salvationists continue to wrestle and at times struggle with biculturalism therefore ongoing training will need to be provided on a broad basis within the Salvation Army on biculturalism and its implementation”. The organisation is now being used as a front for political lobbying by the biculturalists, who are claiming that the Salvation Army is in favour of Maori wards, to help sway the referendum vote that is presently taking place in five local authority areas. The Anglican Church, which has suffered a similar fate, is now also being used to try to sway the referendum vote in favour of Maori wards. The Church was persuaded in 1992 to embed the Treaty of Waitangi into its constitution, and to racially divide the congregation into Maori, Pacific, and ‘Pakeha’ branches. As a result of these changes, congregation numbers have plummeted and power struggles have broken out as the Maori branch attempts to assert “tino rangatiratanga over taonga as guaranteed in Article 2 of the Treaty of Waitangi”. In this case, the ‘taonga’ they want to get their hands on is the $300 million Church trust fund! It also appears that the Royal Society of New Zealand is on the same downhill slide. Last month, retired scientist Dr Bob Brockie spoke out about how in 2010, this august scientific body was persuaded to appoint artistic and literary representatives of Te Whainga Aronui o Te Aparangi onto its board, who now say the Royal Society “needs to place the Treaty of Waitangi centrally”. It turns out that Otago University signed a Memorandum of Understanding with Ngai Tahu in 2013 to “give effect to Ngāi Tahu aspirations and enable the University of Otago to realise its Treaty obligations”. The NZCPR has also reported that Canterbury University signed a “Memorandum of Understanding” with Ngai Tahu in 2012 and that they have now imposed a compulsory requirement for all students to be instructed in bicultural competency. This raises questions over how many other universities have succumbed to iwi control, and whether the Tertiary Education Commission has safeguards in place to prevent the promise of iwi funding from compromising the freedom of scholarship of New Zealand universities. We already know that iwi leaders have infiltrated LGNZ through a Memorandum of Understanding signed in 2015, and that on some issues like supporting Maori wards, LGNZ has become their mouthpiece. It turns out that art is not safe from censorship by iwi either. Just last week, controversy arose over Te Papa’s $1.5 million 1861 painting – View of Mt Egmont, Taranaki, New Zealand, taken from New Plymouth, with Maoris driving off settlers’ cattle – by the famous English artist William Strutt. A New Plymouth art gallery is negotiating to exhibit the painting next year, but a member of the Maori Advisory Board to the District Council’s Taranaki Museum, is demanding that the plan is dropped. Peter Moeahu, a former treaty negotiator, claims that the painting depicts Maori as thieves and robbers, stealing from settlers and driving away their cattle. He says the painting should not be displayed publicly as it “perpetuates colonialist propaganda”. Whether the exhibition goes ahead or whether the gallery caves in to the intimidation remains to be seen, but what is clear, is that with ‘cultural advisors’ like Mr Moeahu in control, the Taranaki Museum does not have the freedom to even consider such an exhibition. Meanwhile the freedom of speech is not only under threat from activist networks – as Israel Folau recently found out to his cost – but also from our Human Rights Commission. It could be argued that the campaigns run by Susan Devoy over recent years, especially the “That’s Us” campaign against casual racism, and the “Give Nothing to Racism Campaign”, encouraging people to take a stand against racism, have increased racism in New Zealand, by redefining anything offensive as racism. This is the same pattern followed by the former Race Relations Commissioner Joris de Bres, who pro-actively promoted Maori sovereignty, including by pressuring local authorities to introduce Maori wards. By leading initiatives to increase the apparent incidence of racism in society – no doubt to justify their positions and gain more funding – these officials have become a public menace. Since the present Race Relations Commissioner’s warrant expired on March 31, this role should now be disestablished. Without a doubt, the changes being delivered by the technological revolution are resulting in tremendous benefits to mankind. However, vigilance is needed to ensure that the underlying agenda of those seeking to control our lives – whether through heavy-handed regulation, or through the muzzling of free speech – is not to take away the rights of individuals to have individual opinions. Those rights must be defended at all costs.